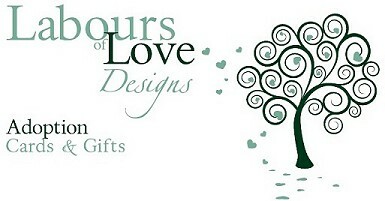 Shopping for yourself or giftgiving from Labours of Love Designs is easy and secure. Your privacy is paramount and your personal information is just that personal- and will never be shared with another party. We accept major credit cards through PayPal. You do not need a Paypal account. On checkout just follow the direction on the lower left of the first Paypal screen. Just browse the store till your heart's content and add your choices to your cart. Then, just proceed to the checkout page and follow the steps to complete your order. We are happy to ship gifts directly to your loved ones with a personal message of your choice. Our online orders ship via Standard Canada Post unless you request Expedited or Express shipping. Each of your items will be packed and shipped with the ultimate of care, to ensure its safe arrival in your hands. Your order, with the exception of the Personalized Blankets, will ship Monday through Friday (excluding statutory holidays), within 48 hours of payment, and depending on your location, arrive in between 2-10 days . If you live in Tuktoyuktuk, all bets are off. Shipping costs are determined by weight, size of order and destination....but be assured the only thing that will be padded will be your shipment.... not the shipping price!! When you place your order, you will know what the shipping price is. 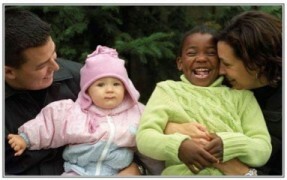 We want to provide our customers with beautiful and meaningful adoption cards and gifts. Let us know what you love and also what you'd love to see. As you read this, I am already working on other items to add to the assortment, but there's nothing like hearing it from the experts - You! Please contact me if you are an organization, are doing an adoption fundraising event, or need a silent auction item to benefit children... We can work together! If you are interested in our assortment for your customers, we'd love to hear from you and discuss opportunities.